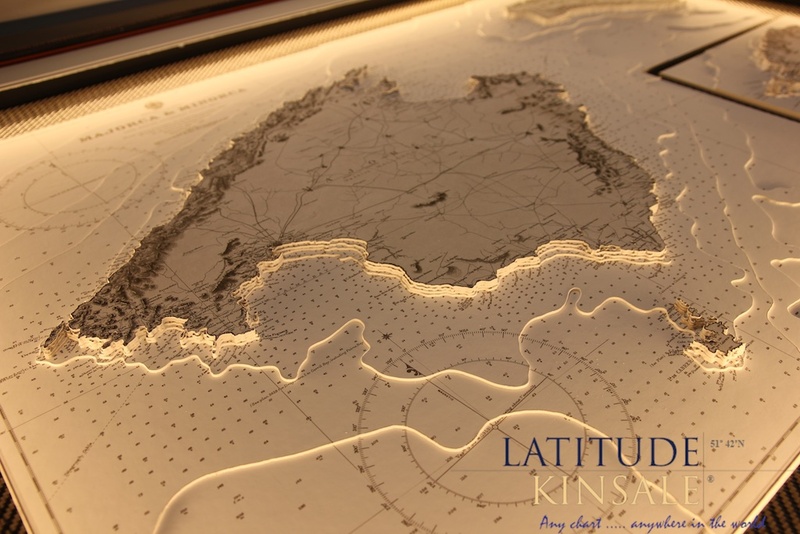 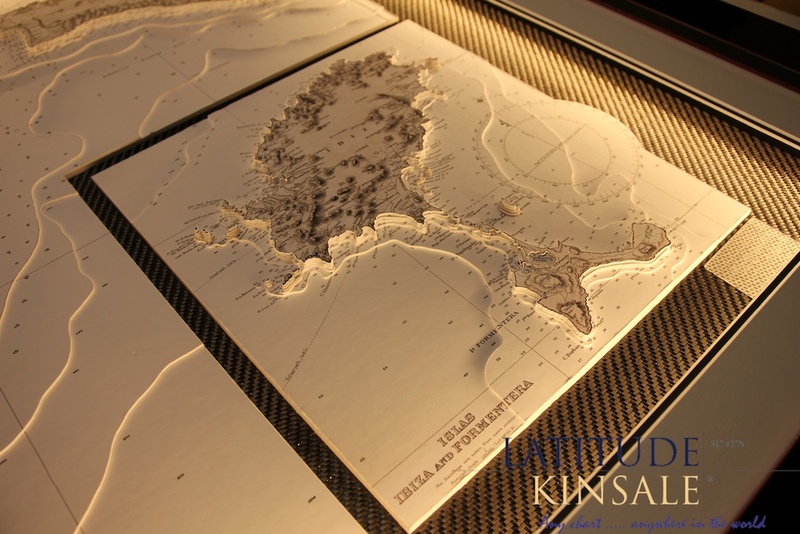 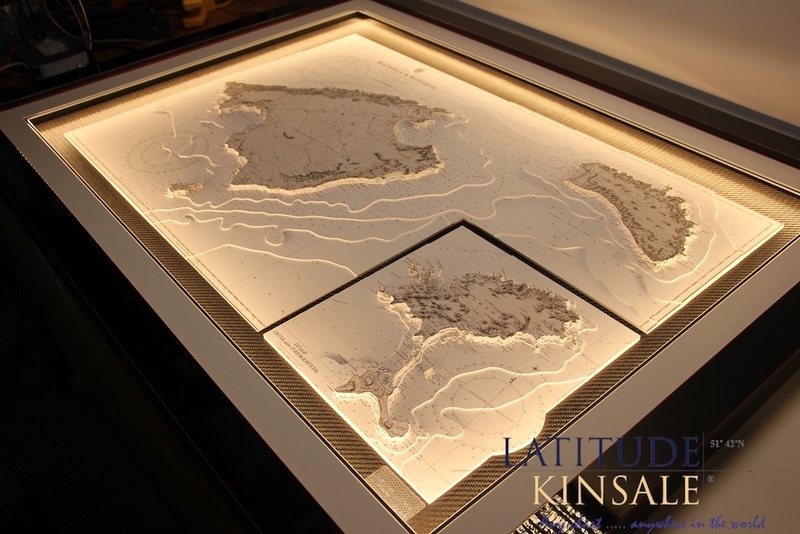 This was a special commission to create a very large 3D chart of the Balearics for a new Sunseeker 86. 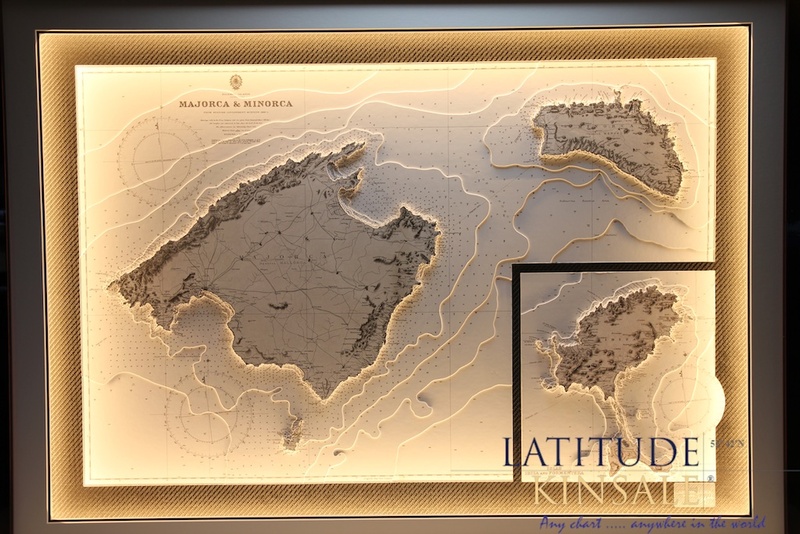 The owner requested that I replace the 76 inch display in the main lounge with a 3D chart showing all of the Balearics as a classic B&W chart. 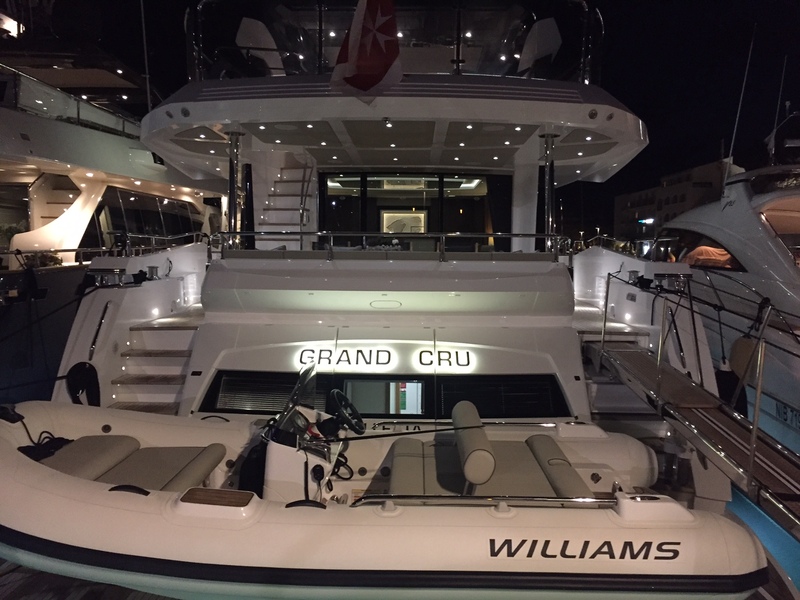 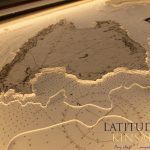 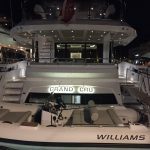 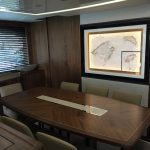 I had to combine two different charts, re-size the Ibiza chart to maintain the same scale, fit into the already set space, ensure that the frame finish and dimensions matched the exacting décor of this beautiful boat ‘Grand Cru’. 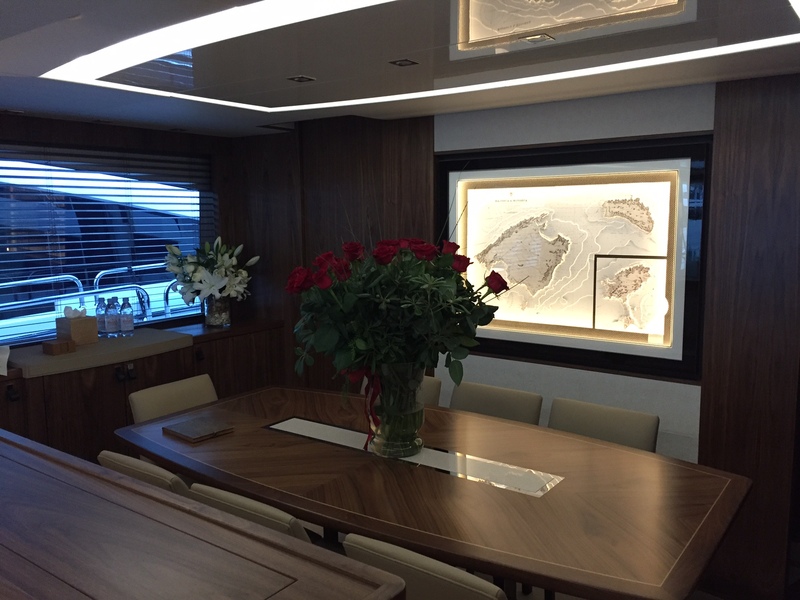 The end result was stunning. 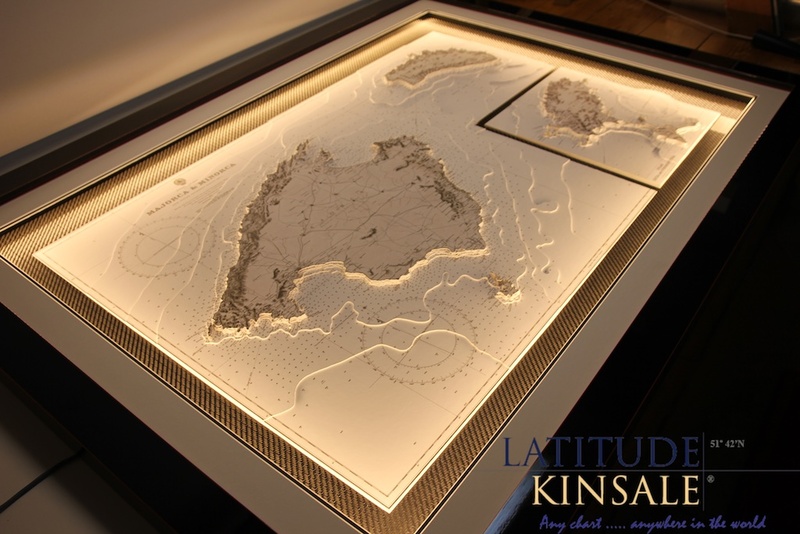 Projects like this are challenging, as the quality and presentation details must be precise. 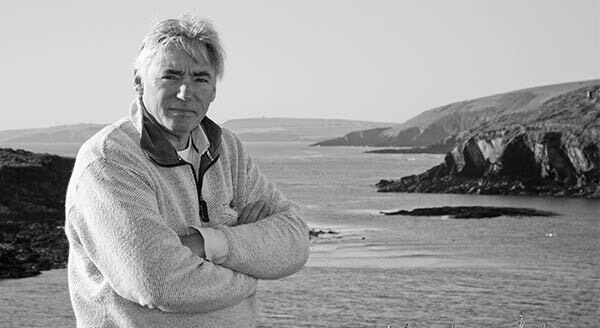 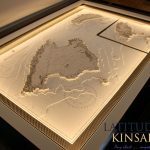 A lot of effort but the finished result makes it all worthwhile. 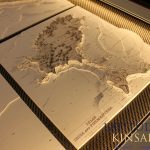 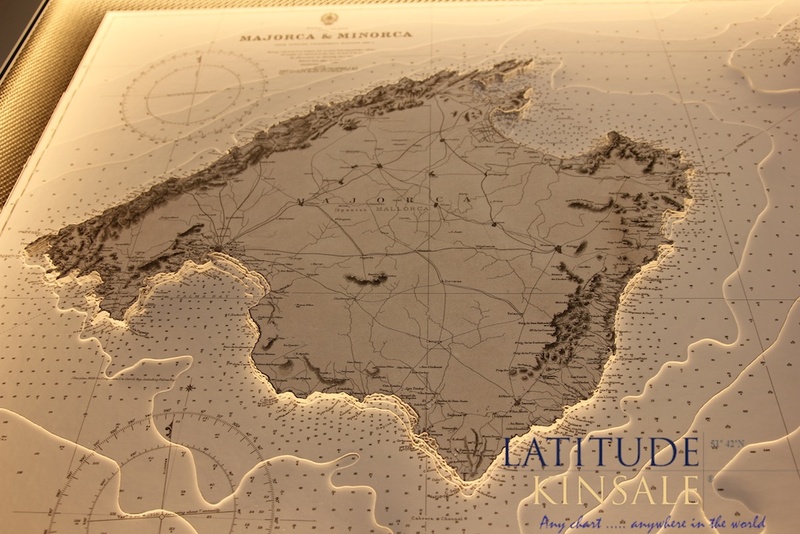 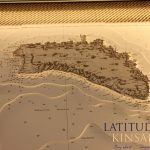 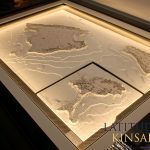 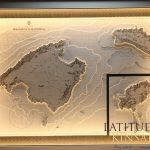 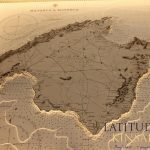 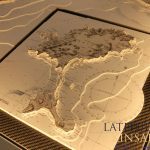 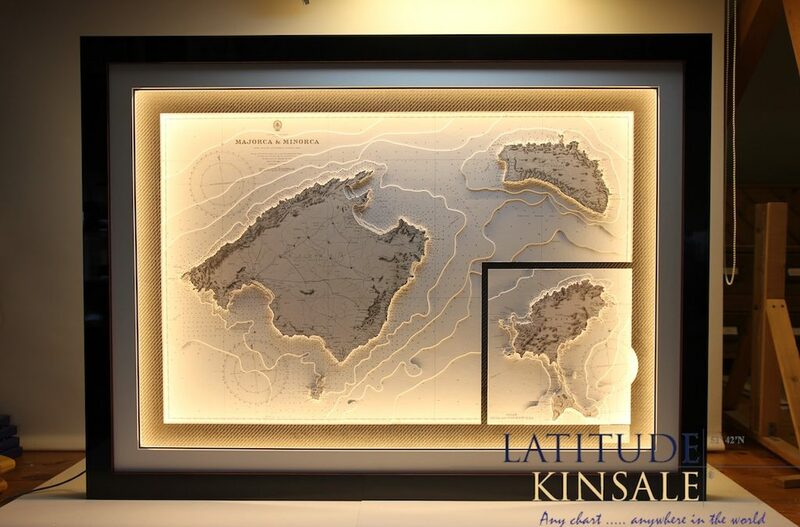 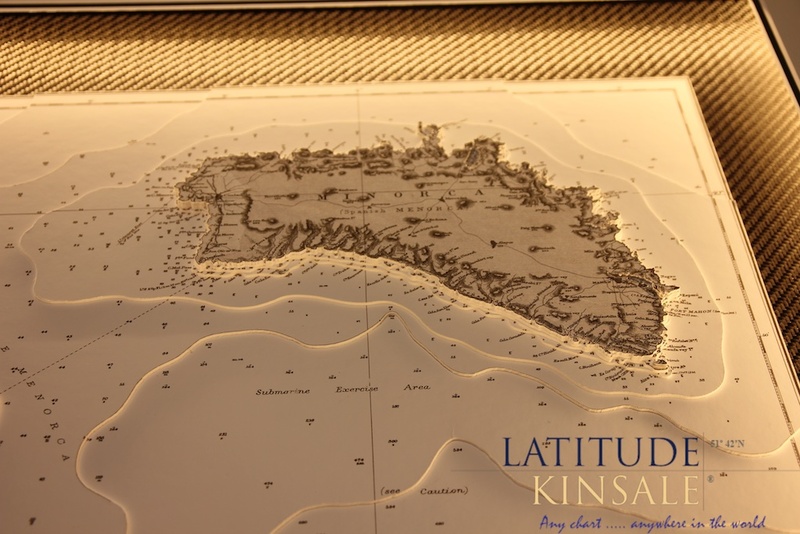 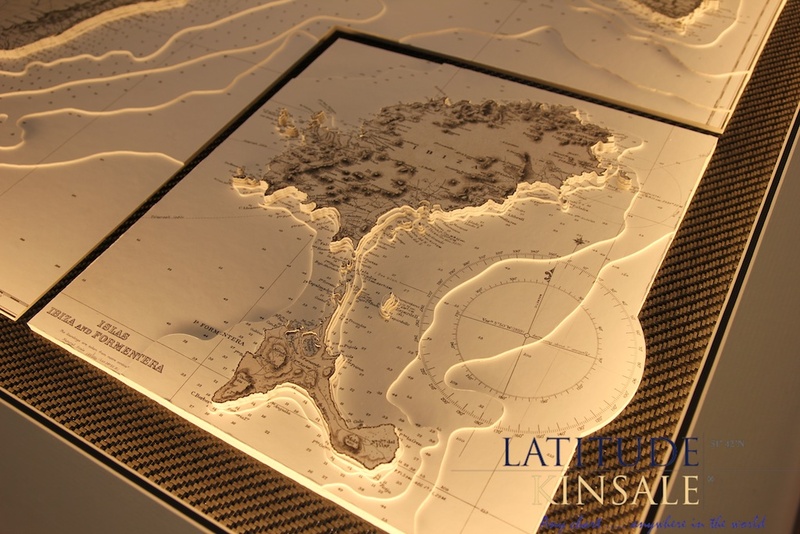 The chart features the Balearic Islands of Majorca and Menorca along with Ibiza and Formentera shown in an insert piece. 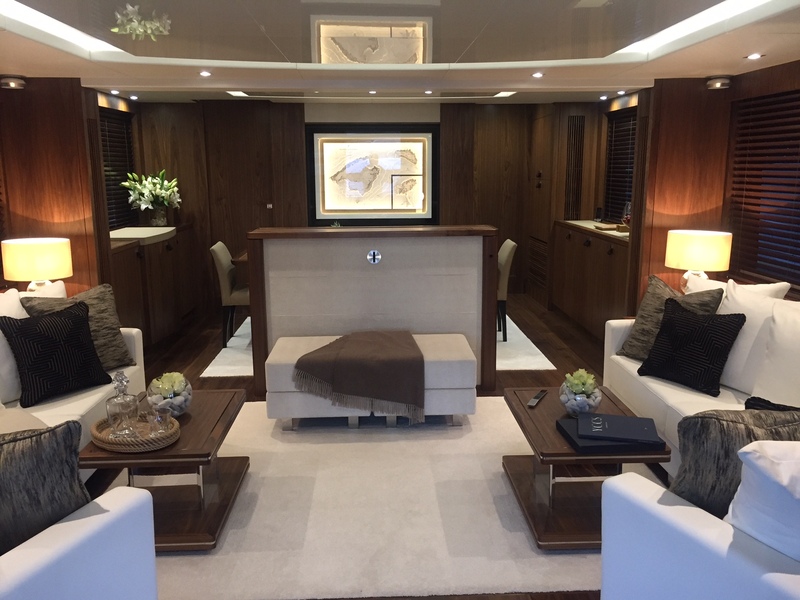 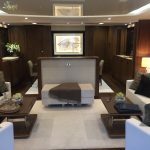 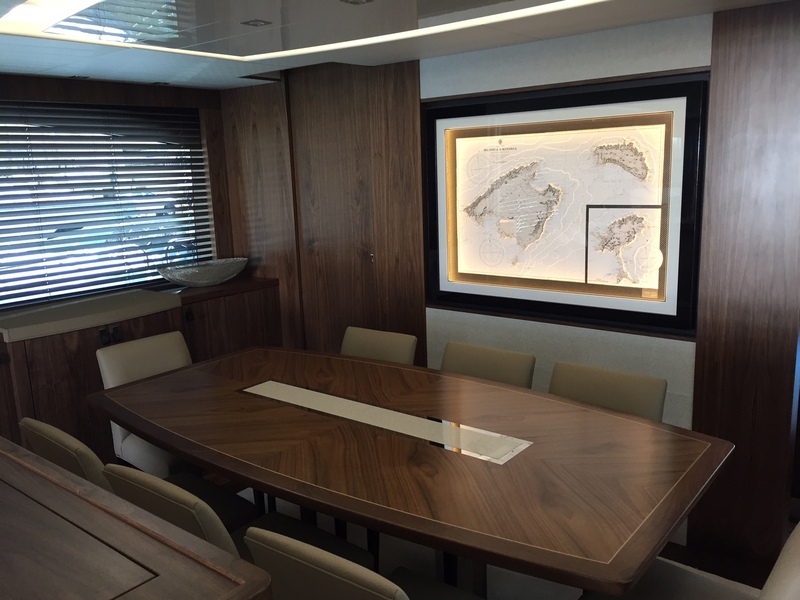 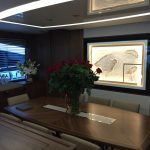 There is a great level of satisfaction to have my work displayed as the key piece in the lounge of this magnificent yacht. 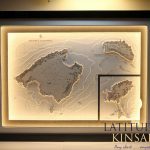 It blends seamlessly with the impeccable interior décor and as you can see in the photos, looks stunning when illuminated.